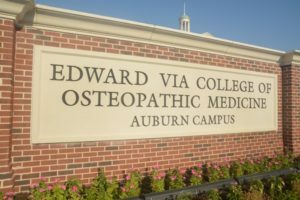 VCOM is a fully-accredited osteopathic college with three campuses, one in Blacksburg, VA; one in Spartanburg, SC; and one in Auburn, AL. VCOM is committed to serving the needs of patients in medically underserved areas and medically underserved populations and the VCOM Virginia campus is committed to Southwest Virginia and to surrounding Appalachian states, although VCOM interviews student committed to service and working with patients from medically underserved populations from other states. 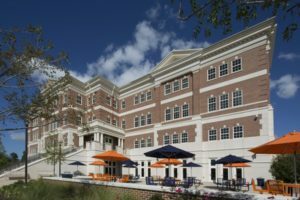 Located in the Research Park of Auburn University, and immediately adjacent to the other health sciences schools in the University on Donahue Street, the campus is within walking distance of the university and the stadium, VCOM-Auburn is well integrated into the Auburn University community. In addition to the over 27,000 University students, the city of Auburn is the fastest growing metropolitan area in Alabama. 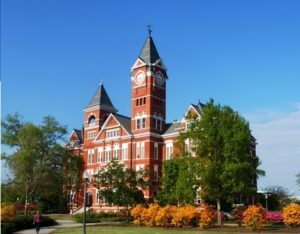 Auburn’s southern charm is seen in the arts, in its quaint restaurants, independent boutiques, and availability of cultural opportunities. 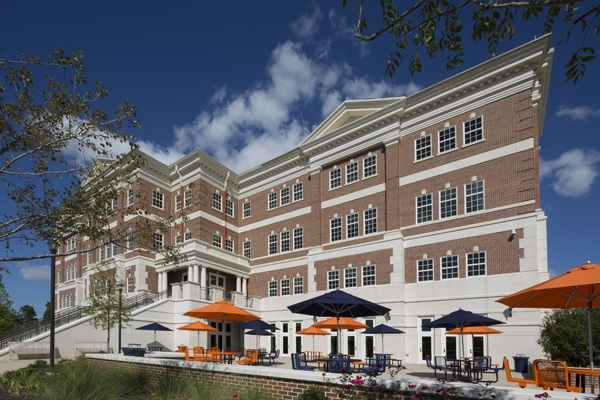 The VCOM Auburn campus includes a 100,000 square foot academic facility, outdoor patios, a lake, and a walking path. 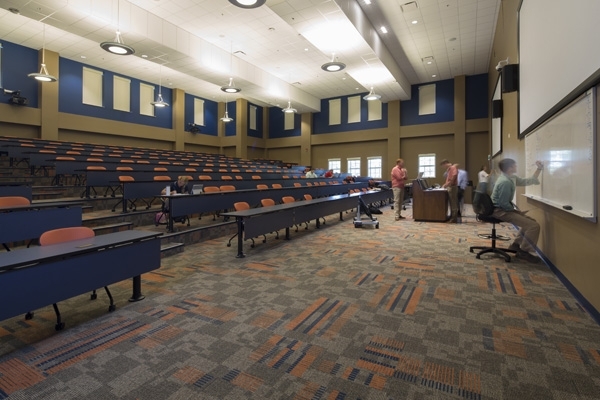 The main facility offers two theater style high-tech classrooms, a state-of-the-art anatomy lab; approximately 20 small group rooms, four conference rooms, student services, student lounges, food service, and a library. High definition video projection and recording allows all presentations to be recorded and displayed on VCOM TV for student review from home. The fourth floor houses the Center for Medical Simulation and Technology which includes clinical medical procedural skills laboratories, simulated patient exam rooms with recording capability and EMR technology, and patient simulation laboratories with high tech manikin simulators for pediatric, adult, and obstetrical procedural training. 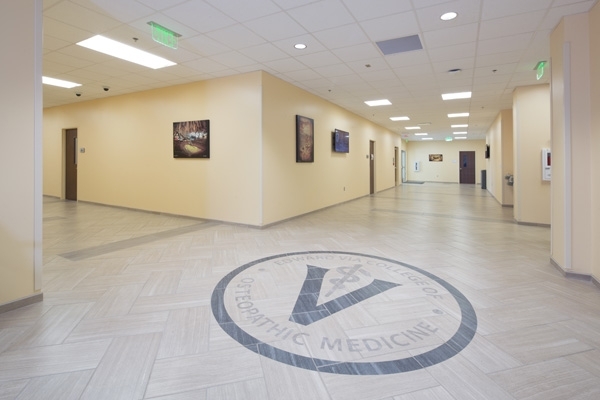 The osteopathic manipulation lab provides electronic tables and high definition video monitoring to assure optimal education. The first floor includes an event center and research laboratories. The town of Auburn provides an array of housing opportunities. 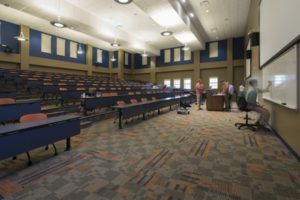 Private apartment and town-home complexes catering to graduate students and young professionals are conveniently located throughout Auburn, nearby Opelika, and in neighboring communities. The curriculum at VCOM is innovative and modern. The faculty of VCOM recognizes that students learn in a number of ways. Students generally assimilate a knowledge base through instruction, reading and experience. VCOM uses a hybrid curriculum consisting of lectures, computerized case tutorials, laboratory experiences, clinical skills laboratories, and clinical experiences throughout the four years. 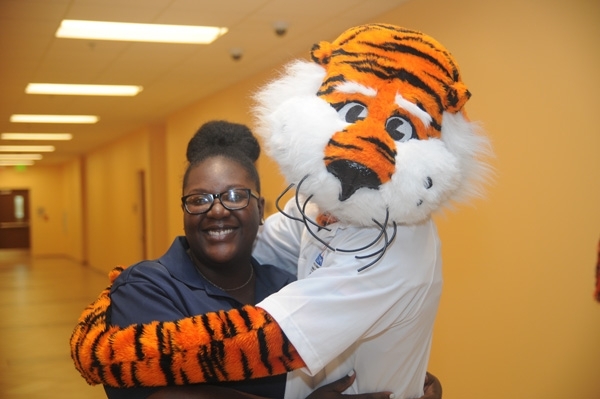 Each week faculty and students provide health care for medically underserved and disadvantaged populations in Alabama. Students participate in projects to improve the health and wellness of a community as a part of their curriculum as well as through their student professional organization volunteer programs. 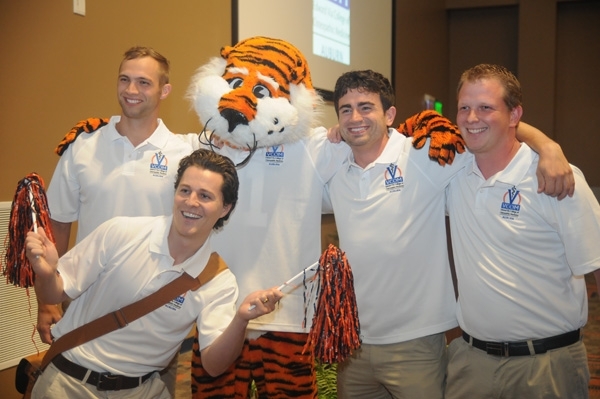 VCOM faculty offer special opportunities for VCOM students in outreach in the local region. Embracing the one world – one health concept, VCOM faculty and students provide global health outreach programs in El Salvador, Honduras and the Dominican Republic. Students benefit from the sharing of cultural experiences, medical education and public health practices that in turn improve the health of the remote communities served. VCOM provides sustainable year-round health clinics in all three countries to ensure a continual improvement in health care and public health practices. 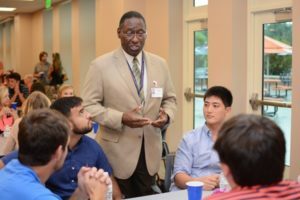 VCOM students have the opportunity to work with renowned sports medicine faculty on its three campuses. The Auburn University Athletics program has a dedicated sports medicine program and a student athlete population that includes current and previous Olympic gold medal winners as well as three Heisman trophy winners. 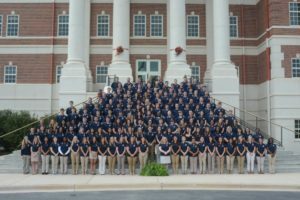 VCOM seeks to admit the greater portion of the class from qualified applicants who grew up in or are based in Alabama, followed by students from the southern Appalachian and Delta states; and traditionally medically underserved regions. 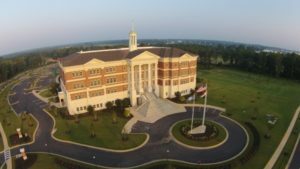 (Target states for all VCOM campuses include Alabama, Georgia, Florida, Kentucky, Tennessee, Mississippi, Louisiana, Texas, Missouri, North Carolina, South Carolina, Ohio, Pennsylvania, Virginia, Maryland, and West Virginia). VCOM screens all AACOMAS applications within 2 to 3 weeks of receipt. Candidates who present a strong overall and science GPA in the last 120 hours are encouraged to apply. 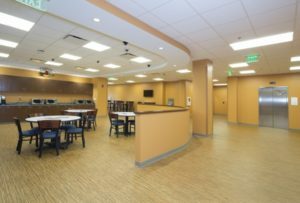 Students must have an acceptable MCAT score, however VCOM considers students from target states with a GPA >3.7 with lower but acceptable MCAT scores. VCOM will then invite students to complete a secondary application. 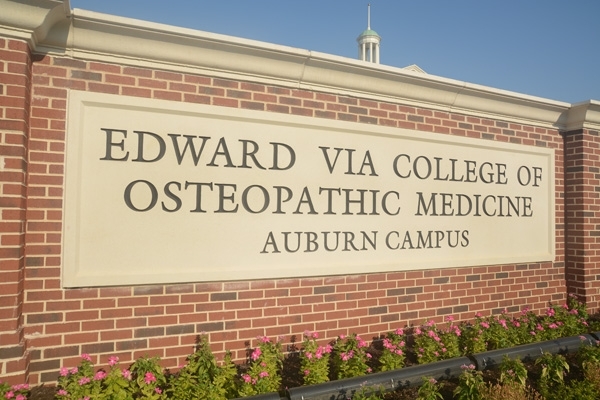 Completed applications are reviewed for academic preparedness, healthcare experience, volunteer outreach, fit with VCOM’s mission, and commitment to osteopathic medicine. 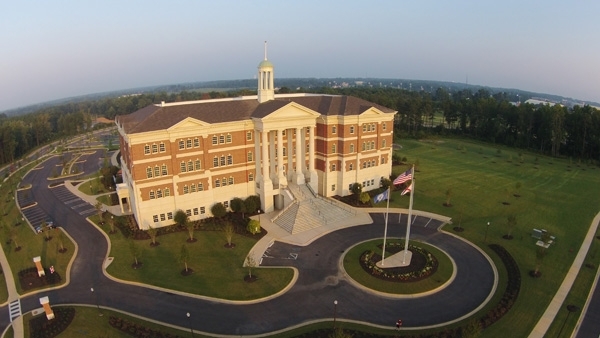 VCOM utilizes a rolling admissions process. Thus, candidates who submit an application early and return all required documents promptly will be at an advantage in the admissions process. VCOM recognizes, values and affirms that diversity contributes to the richness of the academic programs of the college. International students (non-U.S. citizens or temporary residents) considered: Select Cases, Permanent residents are considered, and a non-US citizen is considered in rare occasions. The interview day at VCOM-Auburn Campus includes an information session, one-on-one interviews, a tour of the Auburn campus, lunch with VCOM students, a tour of Auburn, and a session with a representative of the financial aid office. *At the 300 level or above. Recommended courses include Biochemistry, Genetics, Anatomy, Physiology, Microbiology. *Three hours may be in creative writing or other equivalent courses.